No disrespect to Detroit and California—they’re definitely hubs of car culture. But don’t shortchange New Jersey. After all, it’s the birthplace and the namesake of those concrete barriers that line America’s highways, the home of the country’s busiest toll road, and a place where summer nights seem custom-made for cruising to the Shore, or nowhere special, with the windows down and Springsteen blasting on the radio. 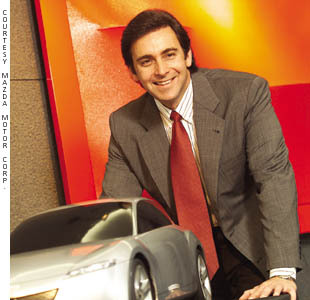 A lot has changed in the automobile business since Mark Fields (MBA 1989) was a young man growing up in Paramus, tooling around in his ride (full disclosure: his mom’s 1976 Chevy Caprice) on his way to becoming a rising executive on the industry’s fast track. 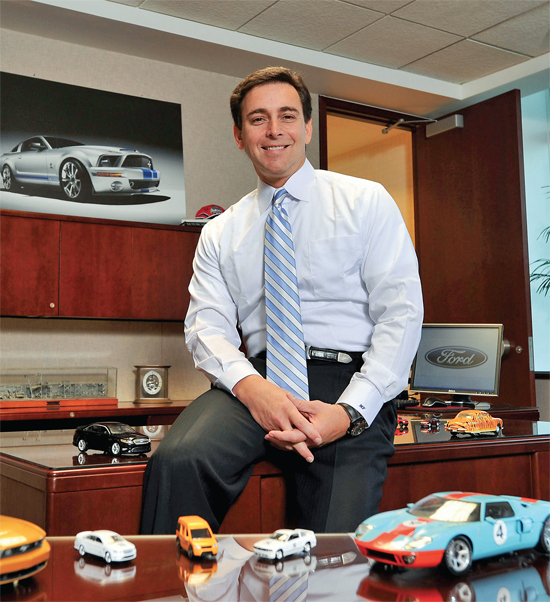 Today, he is EVP of Ford Motor Company and president of its Americas division, a post he’s held since 2005. Believed by many to be on course to be Ford’s next CEO, Fields has had a rich apprenticeship. After graduating from Rutgers University, he joined IBM in sales and marketing before enrolling at HBS. Fields had always wanted to work at a company that actually built things, so upon graduation, he signed on at Ford. Then it was off for some serious globe-trotting, first to South America as managing director of Ford Argentina, next to Japan as president and CEO (at age 38) of Mazda, and then to Europe as head of both Ford of Europe and Ford’s Premier group (including brands such as Volvo, Jaguar, Aston Martin, and Land Rover). Now back in Dearborn, Michigan, Fields works with what’s become an emerging and increasingly high-profile issue for global managers, especially those with US-headquartered companies: keeping jobs and earnings at home. At a January “Insourcing American Jobs” forum at the White House, Ford, with Fields as its representative, was recognized for its “insourcing”—returning jobs to America from overseas, and building new plants at home instead of abroad, thus adding employment for thousands of Americans. Explains Fields, “Especially since the recession, to be more competitive, we’ve looked beyond things like labor costs when deciding where to locate new business.” He believes that the United States can often claim competitive advantage in several areas: political stability, lower shipping costs, rich and accurate commercial data (to facilitate business forecasting, for example), and a skilled workforce with seasoned supervisors. “That mix of factors does not come standard with every country,” Fields notes. As for government’s role in boosting US competitiveness, he would like to see a better balance between nations on trade and tariff issues, as well as a more globally competitive US corporate tax rate.